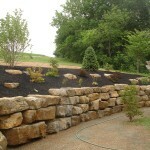 With over 60 years of experience we can customize a landscape that will eliminate the need to start over years later. 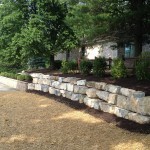 We will place the right plant in the right spot to eliminate moving or removing it later. 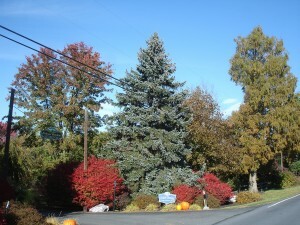 We have been providing large specimen material in the Lehigh valley since the 1980’s. 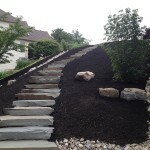 Our local plant knowledge along with highly skilled installation techniques provides you with a customary planting design. 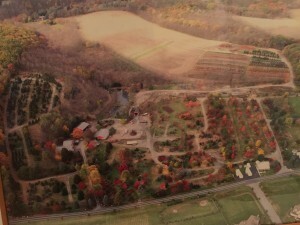 With over 60 years experience plus our own 100 acre nursery, we can install a new one of a kind landscaping. 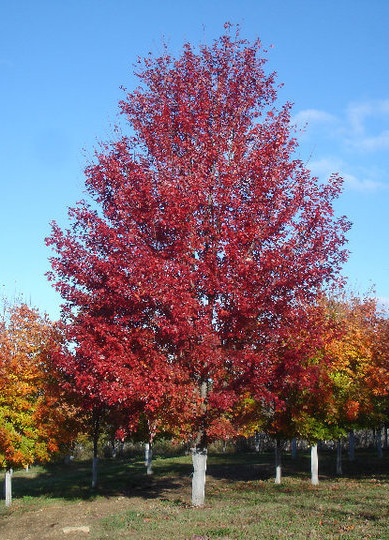 We have the expertise, equipment and capabilities of installing Shade trees up to 12” caliper (40’ high/wide) and Evergreens up to 35’ high. These are the largest possible plant material that can be installed in the Lehigh Valley. By using large plants we can also create an instant mature look with out waiting years to grow. You came to the right company if you are looking for instant shade or privacy. We have over a 100 acre nursery growing as we speak! Check it out here. 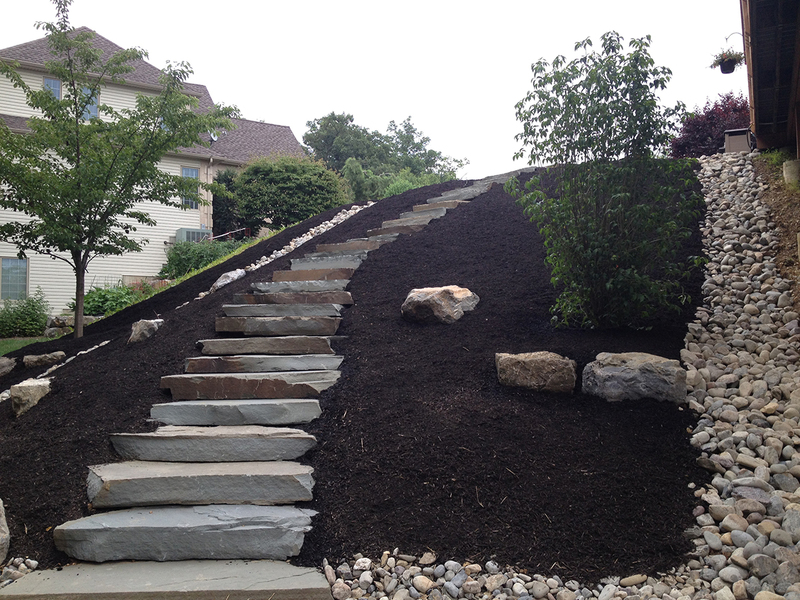 We are experts at constructing decorative boulder retaining walls and steps that blend seamlessly with the surrounding landscaping, resulting in structures that not only offer much-needed functionality, but that can enhance the overall landscape. 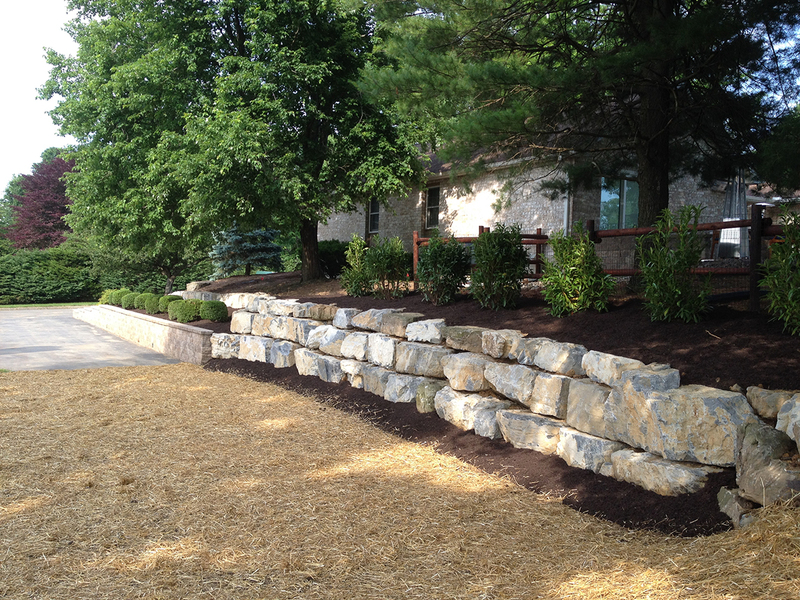 By using natural stone, it gives the most long lasting and beautiful additions to a landscape. . We’ll build you a retaining wall to support vertical grade changes, prevent soil erosion and downward slope movement for both residential and commercial properties in the Lehigh valley. 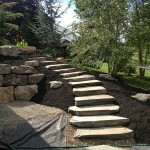 We can also create a stairway to let you access your entire yard by installing boulder steps. 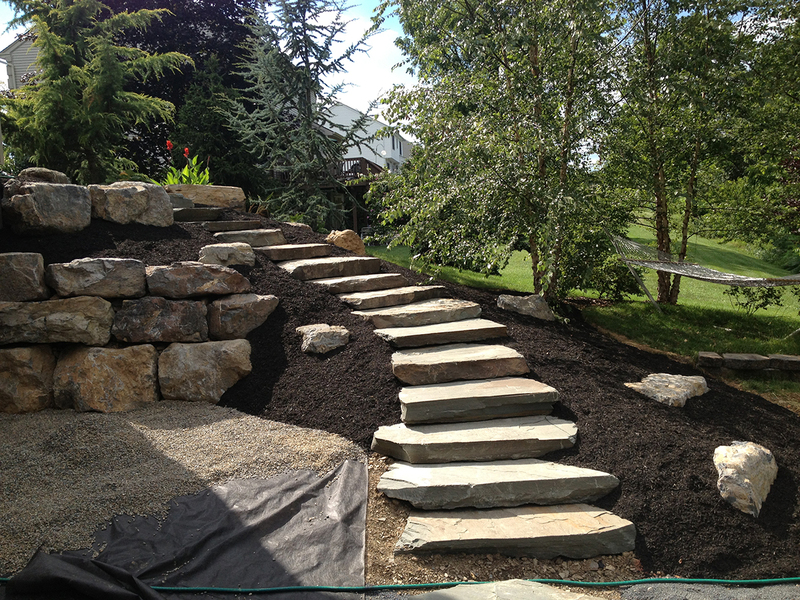 Our steps are hand selected natural boulders that give you the functionality of steps and at the same time give you a natural look. Complimenting your beautiful landscape with an outdoor lighting design that will give you year round appreciation of your landscaping. Lighting can enhance the security of your house; make safer walkways; as well as bring out the beauty of your plants, trees, patio, pool or home exterior. Our Hydroseeding crew uses the latest innovations in hydroseeding process using a slurry containing seed, hydromulch, fertilizer and a tackifier (bonding agent). A truck transport the slurry to a job site and sprayed over freshly prepared ground in a uniform layer. The nutrient rich slurry helps promote fast germination. The hydromulch helps keep the soil moist to enable the seed to germinate quickly and unlike straw or hay contains no weed seed. The tackifer in the mix acts like a glue to hold the mulch in place and to help prevent washout in the case of heavy rains. Hydro seeding offers many advantages to the traditional process of broadcasting or sowing dry seed. It promotes quick germination and inhibits soil erosion. 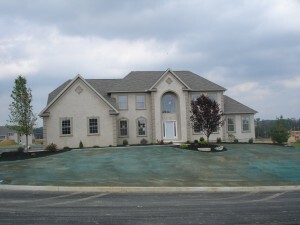 It is also a very cost effective alternative to sod and offers a significant cost savings as well as many other benefits. 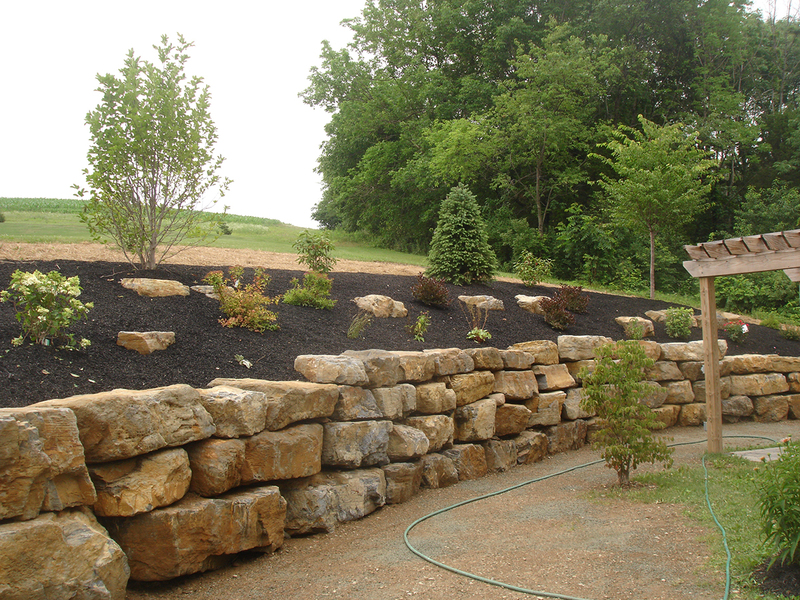 We provide the latest techniques in erosion control practices to prevent soil erosion from rainfall or wind. Some of the measures include the following: Silt Fence, Sod, Erosion Control Blankets, Hydromulching/seeding, Rip Rap and Straw Bale Barrier. RBL’s mission is to provide the highest level of Customer Service, site safety and expertise. Our highly trained snow removal team offers the best 24/7 snow care services to our Commercial, Industrial and Government customers. Our large fleet of snow pushers, (9) rubber track/skid loaders, wheel Loaders, commercial-grade snowplows, salt trucks and other removal equipment guarantees that we can handle any and all snow clearing jobs.